Fonts can make or break your projects!!! How many fonts is too many fonts? Where do I get fonts? Most importantly, can I sell my work with these fonts? If you download free fonts without paying for the Commercial License, you can not sell items using the font. You can make things for yourself or to give as a gift, but you can not sell the item. If you have fonts and want to purchase the Commercial rights, you can usually go back and purchase it. One place that I love to shop for fonts is So Fontsy. Every purchase you make INCLUDES the Commercial Rights. They have FREE items and sale items weekly!! You should check them out!! You can check them out HERE! 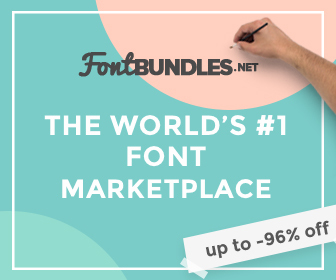 Fontbundles is another place that I love to shop for fonts – they have a lot of bundle purchases! Click the photo below to check them out!!! One of my very favorite fonts right now is Shania – you can find that font HERE. I use this font a lot, but I usually thicken it up just a bit in Silhouette Studio to make it easier to paint or work with in vinyl. Disclaimers – I will continue to update and add to this list. **This post contains some affiliate links to products that I trust and use. This means that I might receive a small commission if you make a purchase using any of my links. Thank you Lori for sharing so much with us. Very kind of you.